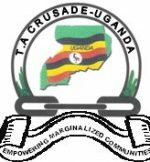 HCPAP is a community led health care promotion and advocacy project implemented by T.A- CRUSADE- UGANDA in partnership with the local government and 9 CBOs operating in 9 Parishes in Mukono District. The project goal is contribute to increased community awareness and health literacy on accessibility, disease prevention and promotion of healthy lifestyles in order to have a healthy and productive population. 1)To create awareness in identified health care issues such as health care policies, reproductive health and rights, HIV/AIDS, school health, communicable diseases, malaria among others. 2)To build the capacity of Civil Society Organizations, lower level government structures and the community in setting health priorities, making decisions, planning strategies and implementing them to achieve better and affordable health. 3)To lobby targeted departments, ministries, governments, national and international bodies and advocate for pro-poor health care service delivery. The local CBO implementing partners are; Katonda Mulungi Persons Living with HIV/AIDS, Mukono Aids Widows Orphans Family Support, Kimenyedde HIV/AIDS Initiatives, Widows& Youth Economic Empowerment Group, Community Development Network, Nakifuma Integrated Family Care Support. A number of planed project activities have been carried out including the inception, mobilization and consultative meetings with local leaders at both district and sub county levels and a baseline survey was conducted to establish bench marks. In addition, a number of IEC /health promotional materials including posters, brochure, newsletter and a community health monitoring tools have all been produced. Other key project accomplishments include facilitation and capacity building of partner CBOs to carry out health related lobbying and advocacy activities in their respective localities, formation of community based health monitoring and advocacy structures, popularising of health related policies, documentation and dissemination of community concerns. Dialogue meetings between health service providers, policy makers and representatives from the community were conducted. This has greatly contributed to more community health awareness, rights and entitlements. During the interface meetings between health policy makers and service users, demands for improved service delivery and pro poor health policies have been made by citizens thereby increasing their voice in health decision making processes. To be the leading NGO offering sustainable services to the poor, disadvantaged and marginalized communities in Uganda.